We need the community’s support to educate the next generation of doctors. Whether you help train our students as a member of the Patient Program, aid their personal and professional development as a physician mentor, or improve their learning, teaching, and research opportunities with a financial donation, you’re making an invaluable contribution to medical education on Vancouver Island. 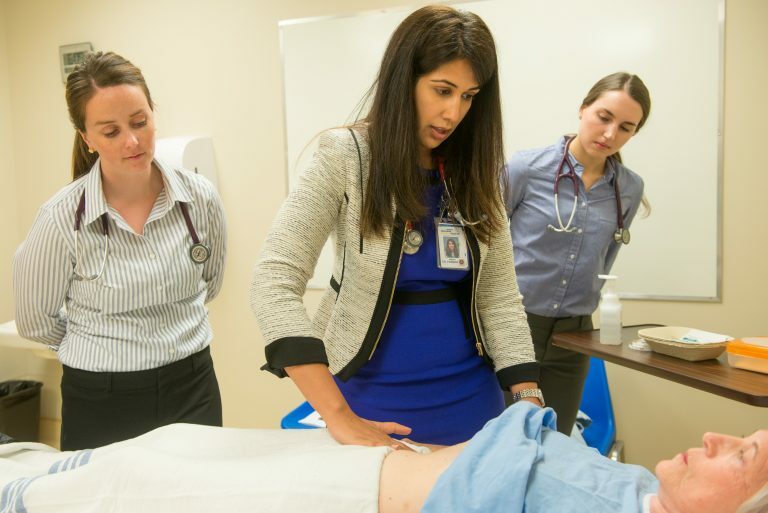 As a member of the Patient Program, you’ll help medical students develop many important skills, such as history-taking, hands-on exams, connecting with patients in a respectful, empathetic manner, and more. As a physician mentor, you’ll help students with short-term learning objectives or long-term career goals, offer guidance on personal matters, and support them in areas such as communication and teamwork. Your financial gift to the Island Medical Program is a lasting contribution to healthcare on Vancouver Island. We have ambitious plans to build a solid foundation of community engagement. We invite you to join us.